Robert Heckmann, the Colorado man who killed Loki the kitten and sent text messages describing the killing and the high it brought him, was sentenced to prison time today. 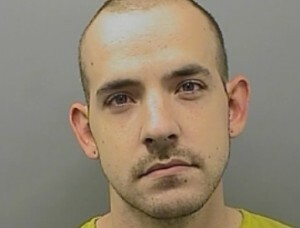 The Colorado man who tortured and brutally killed a kitten he was trusted to care for was sentenced to prison today in a Pueblo courtroom. Robert Heckmann, who pleaded guilty to animal cruelty charges in March, was led from the courtroom in handcuffs after being sentenced to 2 years and 3 months in prison for the crime, which was first made public on February 1, 2014 and stood out not only for its brutality but for Heckmann’s statements about the joys of killing and the short-lived high it brought. Heckmann captured Loki’s torture on video and described the acts in text messages. Animal law enforcement (ALE) officers in Pueblo were tipped off to the existence of the video and found found both the video and text messages during a search of Heckmann’s home. The case received widespread attention earlier this year and thousands of people grieved for the brutally killed kitten. 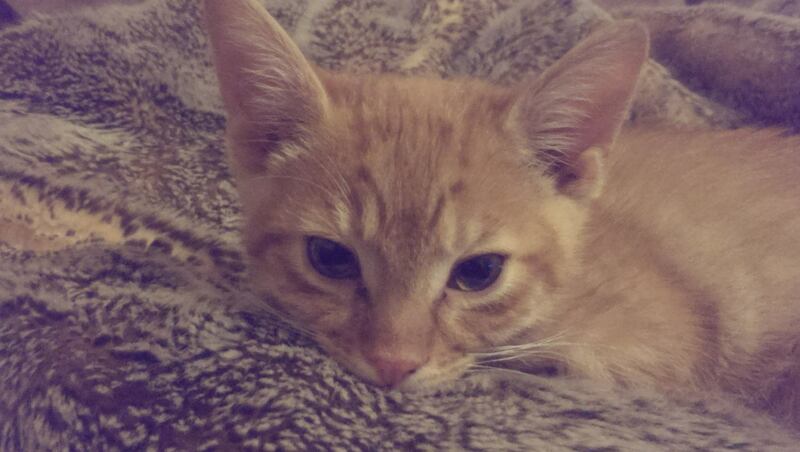 Loki’s sibling Stewie was not killed, and has been adopted by a family. Loki’s death led to calls for punishment for Heckmann and the creation of the Justice for Loki Facebook page, where today was an important day, and the outcome of the case was closely watched. I adopted Loki with the intent of giving him a safe and loving home for the rest of his life. 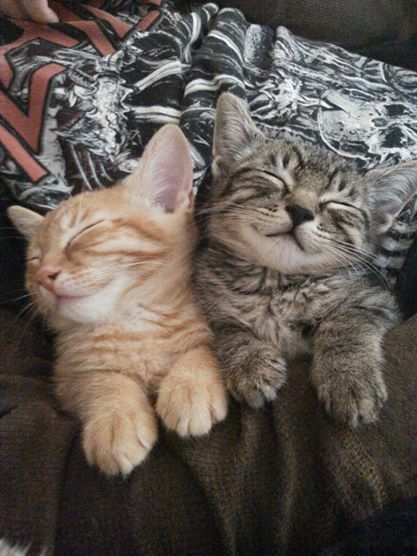 During a move from my apartment, I asked Robert Heckmann to temporarily watch my kitten, as we had adopted the litter mates together, Stewie for him and Loki for me. Robert agreed to look after him, a request I will regret making for the rest of my life. When I heard the news that Robert had killed Loki I thought that it must be a mistake, but I soon realized that it was true, as the sickening specifics of Loki’s death and Robert’s enjoyment over it began to come out. With each new piece of news I hated myself more and more for making the decision to place the life of my pet in the hands of Robert Heckmann. Some images do not leave me your Honor. Wondering what Loki was thinking when he was forced into a bucket of water. Did he think his hell was over when he broke out of the bucket that was used to attempt to drown him? How afraid, and terrified he must have been, still aching from being thrown against the walls only a couple of days earlier, when he could have been saved, but no one saved him. My little kitten tried so hard to survive the ongoing torture. I know he had to have wondered where I was. I know he screamed for me during his murder, as anyone would. Everyone and everything in that situation would cry out for help from their parent. How could Robert Heckmann take pleasure in the distress of a kitten he had promised to care for? I was not there to save him, in fact I am responsible for putting him in Robert Heckmann’s hands. How can I ever make peace with this decision? The answer to that, is I can’t. I know that while he gasped for his last breath, when his life was ending as Robert Heckmann strangled him to death, he was so terrified and was so afraid and he was hoping that I would save him.I just can’t get my mind around how someone could be so detached and cruel to something so defenseless. So this is more than the senseless torture of a kitten named Loki. I, Steven Malcolmson, am a tortured man your Honor, every day, every night. There is no escape, there is no relief from my pain, guilt and regret. The visions of what Loki must have looked like during his torture, the days before his death and his ultimate death, the terror in his eyes stay with me every day. I have nightmares that are indescribable. This case against Robert Heckmann is many things to members of the public. To them it is also about animal rights and the correlation between animal killers and serial killers and they are right, they are all correct. But I respectfully say to you, your Honor that it is about my kitten Loki, who deserved the life that I promised him when I adopted him and a man, me, who is now and will forever be, tortured with images that will never leave me. I ask that you sentence Robert Heckmann to the maximum possible sentence. Regardless of his sentence, I will be tortured long after he is a free man, and my Loki is forever dead. I beg you to send a message to the citizens of this city, our nation, and the world who are undoubtedly watching, that what Robert Heckmann did to Loki, what he did to me, were the actions of a cruel amoral person and will not be tolerated. And I want you to send a message to Robert Heckmann. “It’s not enough of course for me but it’s a huge win for animal rights, it really is. As long as we can keep that momentum going, hopefully we can get some legislation passed to make it so stuff like this doesn’t happen anymore,” said Malcolmson after sentencing. KKTV Channel 11 News, which has covered the story extensively, made the following video report earlier today, before the sentencing hearing. Darla Scheuerman of Justice for Loki spoke to the news crew for the report, and said later today that she was pleased with the sentence. You couldn’t be more right ! That is not long enough for what he had done! Saying its a high and getting a trill out of it! He enjoys killing! There is not going to be a safe animal around with him when he gets out. He will do it again! IF he enjoys killing animals, what do you think he might do the human! He would be classify as a serial killer category! Leave him in jail and throw away the key! The world is not safe with someone like him. This pathetic inbred scum should be on an animal abuse list to never own any animals. He should be monitored closely Any one who finds a sick high from killing a defenseless animal is a few frenchfries short of a happy meal and is a danger to society and the civilized society. I think he needs to be institutionalized. What else has this scum gotten away with?